Elite Traveler speaks to interior designer James White, of luxury interiors brand March & White, about what’s making superyachts propel forward in 2018. Superyachts are changing. Sales in vessels over 98 ft increased by 25 per cent last year, bringing totals back to pre-2008 heights. Designs are getting more ambitious too: Boat International’s World Superyacht Awards last month celebrated the most luxurious cruisers with design features including helicopter landing pads, hospital facilities and even a wood burning pizza oven. “Yachting design continues to evolve, and I think you can see more residential interior experts coming into the superyacht space and challenging what came before in terms of design and materiality,” interior designer and architect James White tells Elite Traveler. 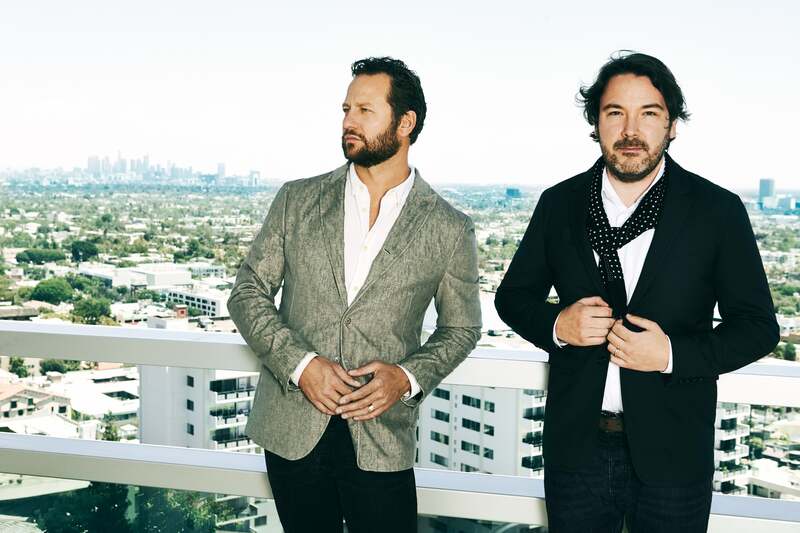 After stints at some of the best architectural practices in the world, James White founded March & White in 2010 with university friend Elliot March. With offices in New York, Los Angeles and London, the company has designed private members clubs, luxury apartments and of course, superyachts. “Most of our high net worth clients are constantly looking for bespoke designs and unique, one off pieces of artwork in their home and their yachts,” he says. 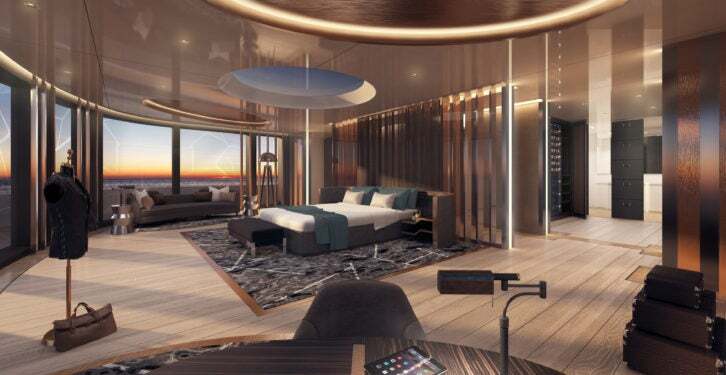 “Yacht design, as with high-end residential, always reflects the client’s passions.” March & White was recently commissioned to work on the 301 ft Linea that’s interiors were devised from a $20m budget. The client requested a catwalk on the upper-lounge deck to hold fashion shows and parties on board. Designers approached the interiors through the legacy of Italian elegance, drawing on its sartorial, cinematic and automobile heritages to sleek affect. Design at the highest level will always require bespoke details and minutiae, but every design house will carry an underlining theme to their portfolios, a style weaved between client demands. Terence Disdale for instance – whose eponymous house has been responsible for some of the world’s most decadent vessels – is renowned for his hand-crafted, glossy textures that feature across his designs and have earned him more than a handful of awards. March & White pair its meticulous process with quiet sophistication, using travel and culture as its inspiration but never forgoing architectural purpose. Termed ‘elegance with an edge’ by the house, a glance through its portfolio affirms this philosophy. Contemporary and clean, its designs are evocative and charming – a muted palette is consistent, as is comfort and fluidity. “Our architectural background means we have always considered flow and movement very carefully,” says White. “In smaller private homes it is about being very clever with space, making spaces feel larger and easy to live in. In large homes it is about understanding two levels of circulation, the public and the private. As younger clientele begin to enter the market, lifestyle and technological requirements are bringing a fresh set of challenges to designers. White says that requirements associated with technological changes in particular are moving yacht interiors in a different direction. These clients are environmentally conscious, but also want their yachts to focus on fun, exploration and wellbeing. “They are more open to striking forms, something different and explorer vessels with luxurious interiors that work with the exterior and reflect the concept of having fun on the water,” says White. As well as the increasingly important theme of sustainability, technology is opening new methods in materials and processes, bringing new levels of detail into the blueprint. “New technology is allowing materials to be pushed, therefore creating more complex and layered forms,” adds White, who says these methods were bought into play with the design of Linea. Despite the continuing evolution of the industry, the ethos of a superyacht is as eternal as ever: no matter how obscure a client’s vision, a designer can make it a reality.